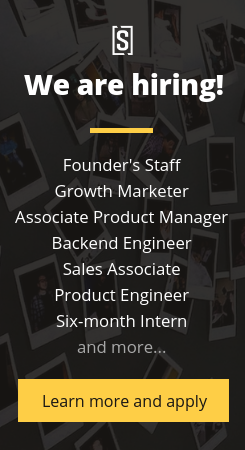 We’re growing up here at SocialCops! Our numbers have grown, and we’re always preparing for more new additions. As we grow, we’ve been pushing hard to make sure that we support the people filling the seats in our office from day one and beyond. Onboarding is a must, of course, but we know that fueling the excitement and growth before and throughout someone’s stay at SocialCops is just as important. This is no small problem, so it’s been no small task to tackle it. First, we looked to those who already figured it out. We read books like New Rules and Delivering Happiness, listened to podcasts like Front End Happy Hour, Radical Candor, People Stack, and continuously consumed articles on First Round to get our favorite people-ops tips and inspirations. Then we turned our inspiration into action, starting by breaking the complex problem into smaller actionable tasks where we could make improvements and experiment. Creating an effective onboarding process is tough, and it starts even before a new member walks through the door. Find someone at SocialCops who has been here for 2+ years, and they’ll likely tell you a cringeworthy story about their first day. For example, one person showed up to locked doors and an empty office, resulting in an ad-hoc company-wide Slack message saying, “Can someone please get to the office? We have a new person starting today and he’s there!” He still jokes about how weird his first day was. Clearly the first step is making sure the company is prepared to welcome a newbie! Once a contract is signed, we immediately create what we call a “Bringing On” checklist. The checklist seems simple, but it’s really great for ensuring that everyone does their part to make someone’s first day as smooth as possible. It’s amazing what can be forgotten if it’s not written down! We also created a calendar and master document with the year’s joining dates, and a Slack channel just for coordinating onboarding, so no one is caught off guard. We also add it into our weekly updates, just to make sure we don’t miss anything. The other big gap we found was in our official communication — both before and after someone joined our team. It was just boring! If someone can’t stay awake long enough to finish our documents, they won’t get the important information that’s in them. For example, when someone agreed to join our team, we would send them an official offer letter. It was full of jargon and legalese — not a good way to get someone pumped about joining our team. So we rolled out a new visual offer deck, filled with photos and much easier ways to understand the details of their offer. We also converted our company policies from a massive online document to a beautiful (physical!) handbook with quotes, stories and photos from the team. In our initial onboarding processes, we directed new hires to existing resources on our blog, website, or internal documents. However, new hires continued to come to us with the same questions and we struggled to figure out the best way to communicate the same answers. We realized that sending people to our existing resources wasn’t enough, so we made a ton of changes. Between creating new material about our work and our customers just for onboarding, and piloting different methods of in-person teaching, I think it’s safe to say that we’ve made some serious improvements over the last year. As with many companies, day one on the job involves a lot of reading, and we admit we’re no exception. A whole lot of reading. After all, there’s a lot to learn! Learning about our product, our partners, our values, and our internal policies, setting up their accounts, and reviewing some of our externally published material are just a few of the items new folks tackle in their first few days. New members balance out all the reading with a “Hack Week” project — a project designed especially for them, based on their new role and the awesome experience they’ve brought with them. This allows them to dive into our work and contribute to our goals right away. The Hack Week project also gives each person a jumping-off point to build upon after their first week. And through it all, everyone gets a designated buddy from their team to support them with both the work and reading. Learn more about Tanay’s Hack Week, where he built Android analytics for field data collection. At the end of their first week, we make sure to ask for feedback from our newest members through a short survey. We want to make sure we’re always improving our onboarding, and there’s no better way to know how to do that than through the ideas of the people who have completed it most recently. We’ve continued to iterate on our new onboarding process all year, and some of our favorite improvements came from answers to this survey! In fact, the creation of new feedback loops is something that has permeated through all of our people operations improvements this past year. Being straightforward is at the top of our values, and soliciting feedback about our internal processes is no exception! We’ve started doing one-month check ins with our newest members to make sure they’re on the right path and have what they need to succeed with us. Being straightforward is just one of our values. Read more about the 6 culture values we live by every day. We’ve also implemented a bi-annual 360-feedback system. In our first few years, feedback was quite informal — everyone would end up chatting regularly with their teammates and our co-founders, so it was easy to keep up a steady stream of feedback. But as we grew from 10 people to 50 people, this informal system became difficult to manage. Now we have 360 reviews, in which every person at SocialCops completes a self-assessment as well as receives anonymous feedback from their peers, concluding with an in-person conversation with their team lead. These conversations are intended to facilitate reflection and help team members reassess their personal goals. We actually crashed our feedback tool with everyone rushing to complete it at the last minute. And finally, each year ends with a “pulse survey”, when all our team members provide feedback about what it really feels like to work at SocialCops and what we can do as a company to make it even better. In 2017, we asked our team how they felt about our office space, our leadership and team structure, as well as the availability of professional growth opportunities and casual bonding with other team members. We also requested feedback about some of our flagship internal “events”, like Friday Demos and quarterly Town Hall. It’s still early, but we’ve already implemented a few changes based on the responses from our team! We know there is much more we can do to help guide personal and professional development, so we’ve made it a top priority for our team to continue building new internal support mechanisms. We want to make sure that everyone continues to feel just as inspired at their 1 or 3 year mark as they did on day one at SocialCops. Stay tuned for more updates on our experiments!